AP, Business Insider photoshoppingApple CEO Tim Cook. Dialog Semiconductor is a British, listed firm which supplies power management chips to the iPhone and other Apple products. 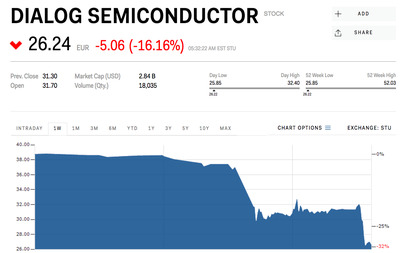 It’s one of the fastest growing chip businesses in Europe – but shares plummeted on Monday after the firm admitted Apple could bring iPhone chip design in-house. Its chief executive said it would still supply chips for to Apple in 2018, but it couldn’t be certain about its 2019 deal with the firm for another few months. The news comes after another UK chip firm, Imagination Technologies, was sold off to a Chinese buyer after Apple pulled its business. 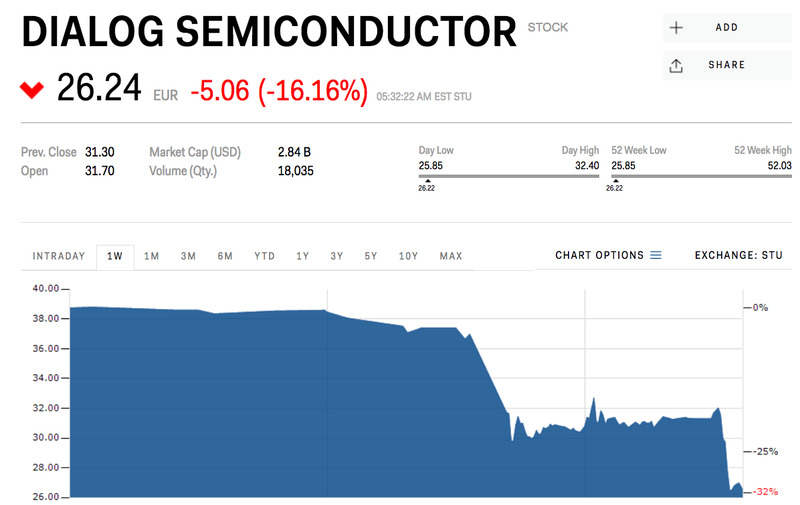 Shares in Dialog Semiconductor, the publicly listed British firm which supplies power management chips for the iPhone and other Apple products, are plunging after its chief executive admitted that Apple could one day bring iPhone chip design in-house. CEO Jalal Bagherli said Apple probably had the capability to produce its own iPhone chip but said there was no indication that the firm was about to do so. Apple is Dialog’s biggest customer. He said the firm wouldn’t know until February or March the commercial terms of Apple’s business for 2019. He said Dialog had already begun sharing chip designs for 2019’s iPhone with Apple. 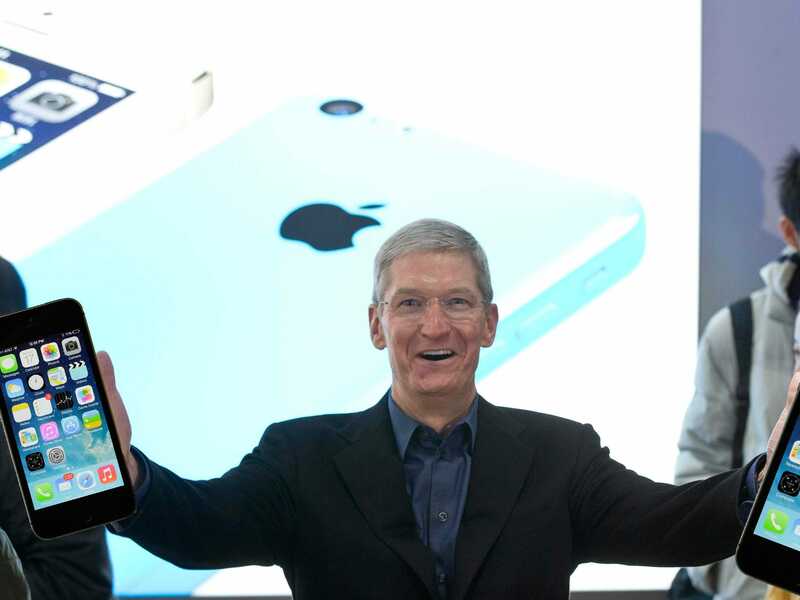 “We expect to remain Apple’s main supplier,” he added. “We feel it’s reasonable to recognise Apple has the resources and capability to design its own [power management chip]. Business InsiderDialog’s share price is plunging. It’s unusual for an a supplier to publicly comment on the relationship with Apple, but Bagherli sought “special dispensation” to talk about Dialog’s biggest customer after a Nikkei report suggested the iPhone maker would bring chip design in-house. The reports sent Dialog’s shares plunging, as investors worried that the firm could meet the same fate as Imagination, the British chip firm which was hurriedly sold off in September after Apple stopped using its technology. Bagherli pointed to the fact Apple is producing a bigger range of iPhones as a reason to be confident. Dialog’s share price stands at €26.92 (£23.76), down more than 30% on a week ago. But in a follow-up note to the call, Morgan Stanley analysts issued a target price of $US55 (€46.44, £40.97).